Choose the best location when you rent an apartment in Shanghai close to the best shops. Home»Shopping tips»Choose the best location when you rent an apartment in Shanghai close to the best shops. The city has been rising and prospering on the basis of trade, Shanghai’s long one of the most famous cities for shopping in China. Along with department stores, shopping malls, historic stores, specialty shops, supermarkets etc, competing with each other for excellence in market functioning, Shanghai can offer an array of endless articles and materials made in China or abroad. There are collections of famous brands, and assorted rich specialty and quality goods. Thanks to highly developed economy and the particular attention of Shanghainese by taste, the city has become a showcase for fashions and products of domestic and international famous brands. Since the beginning of the nineties, Shanghai had become the most thriving commercial centers in China, in the famous streets like Nanjing Road, Huaihai Road, Sichuan North Road, shopping city Yuyuan, Xujiahui etc. They have undergone renovations and / or large scale reconstructions. You can buy branded fashion items in the shopping centers in West Nanjing Road which is one of the best areas for renting a house in Shanghai as an expat and Huaihai Road. Nanjing road is one of the most visited streets in China, so if you live here you will have all the shops next to your house. As we are real estate agency in Shanghai for expats, we are happy to tell you that there are high quality complexes in this area, such as Ladoll, Top of City,Crystal Pavillion,Jing’an Four Seasons.The epats will find good apartment for rent to expats here. If you are looking for Qibao – Chinese traditional dress, go to the shops on Changle Road and Miaoming. The Chinese Qipao Street in Changle Street contains 20 stores Qipao. Most stores offer services tailor. It is close to the hotel Jingjiang. Shaanxi Road and Huacao are crowded with small shops selling cheap shoes. If we compare the price of silk in Shanghai with Europe, as you may guess, in Shanghai is lower. For this reason, all the expats choose to buy silk products in Shanghai. Suzhou is near Shanghai, the place of production of the best silk in the world, so it is possible to find good products good price silk. Many local shops are in Building Shanghai. The company has branches in HuaiHai Street (address: 226 HuaiHai Zhong Lu, near Huating Lu) and Nanjing Street: No.588 Nanjing East Road. Shanghai Museum has some of the finest china available. Location: No.201 Renming Da Dao. In any large almancenes, one can find porcelain made ​​in Jingdezhen. Some of the landlords are rent their apartment unfurnished or furnished without decos.This is a fantastic place to decorate your lovely NEW HOME in Shanghai with much much lower price. Known as “NO: 1 shopping street in China”, specialized stores, two of the most famous department stores in Shanghai is in this avenue, No.1 Department Store and yesteryear called No. 10 selling general merchandise. Sale of goods mainly high and middle class, many specialty shops and boutiques clothing and shoes famous brands and popular. Sell ​​a large range of products for daily needs, made ​​primarily in China, this price range is adjusted to employees, who appreciate the value of money. Known as the “kingdom of Shanghai handicrafts and small items” sale of items ranging from antiques, jade, gold, silver, jewelry, wood carvings, silk, etc. Selling products of all price levels, shops, restaurants, amusement parks, offices and apartments. Located in the new century tower, “Firts Shanghai Yaohan” is the great Asia’s largest store. Another great store important, “New Shanghai” occupies a space twice as large as the total space of all shops on Nanjing Road. Sale of souvenirs, handicrafts, local products, daily necessities, coins, stamps, records etc. The traditional paper, ink, pens, books, professional stationery etc. Fashionable clothing at discount prices. The hardware, software, materials and spare parts, accessories and electronic tools. Porcelain secondhand, metals and precious stones, various popular cultural relics. Crafts and curios of resale, souvenirs etc. Flowers, plants, fish, insects, etc. 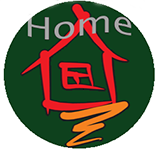 Of course there are lots more interesting places to go for, please feel free contact HomeofShanghaiHousing Real Estate Agency in Shanghai, we speaks English and understand expats needs pretty well.